Where You Want to Be + Out of the Ordinary = F.U.N. If you didn’t know there were beautiful canyons with amazing hidden homes in local neighborhoods in and around Downtown, hook up with the husband and wife couple who operate Where You Want to Be Tours. The San Diego tour company known for its unique adventure tours, including a trip through Bankers Hill, where company owners Darlynne and Marc Menkin take you across two footbridges and lead you through canyons even long-time San Diegans have never seen. “We do a lot of hikes and bike tours for the corporate world, but we also get a lot of calls for family reunions, birthdays, or wedding parties. Just about anybody,” Darlynne said. Where You Want To Be Tours is an award-winning company originally launched in July 2003 that has become known for creating unique and out-of-the-box outdoor adventures for both corporate team-building and leisure markets. This spring, Where You Want to Be Tours merged with another major San Diego tour company, Out of the Ordinary, founded by Carrie Elwood. “It’s a wonderful marriage between two proven companies that have exceled in the corporate and leisure markets. The combination creates a powerhouse of fun adventures,” Elwood said. Darlynne, a former reporter for San Diego TV Channels 5 and 6, said Elwood approached the couple about merging because she is getting ready to retire from her long-time stint as one of San Diego’s leading tour planners. Elwood said for now, both companies will remain separate but share clients. “I will be retiring, but for now I am actively involved and supporting Marc and Darlynne in any way I can,” she said. The benefits of the merge were the addition of events that the two companies complement in each other. 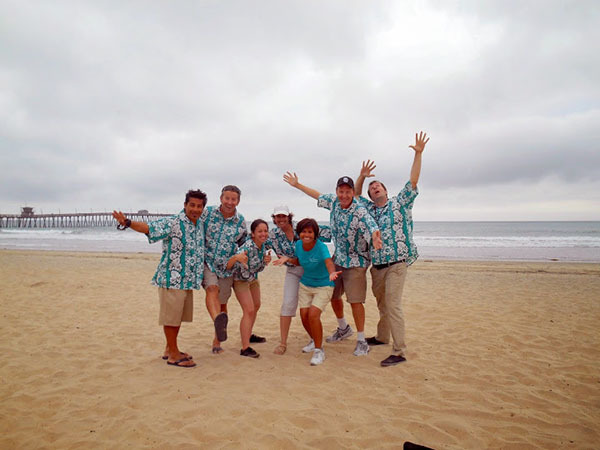 Out of the Ordinary has always offered things such as outrigger canoe challenges, team sailing regattas, boat-building competitions and sand sculpting or beach Olympic events, while Where You Want to Be Tours has team-building scavenger hunts and secret biking and hiking tours around San Diego. 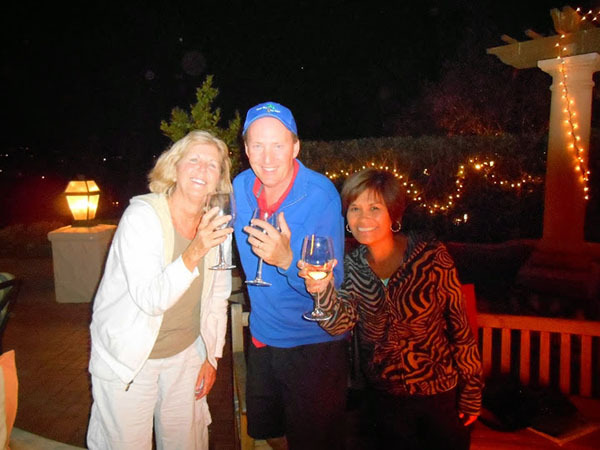 The team-building exercises the Menkins have always offered are used regularly by some of San Diego’s largest corporations. “Our company hired Where You Want to Be Tours to organize a scavenger hunt for our department,” said Tracey Williams, principal tax analyst for Sempra Energy. “We are always looking for new and exciting team-building events and found them to be the perfect company to provide this. The team-building urban challenge scavenger hunts are just one of the more popular events the couple said they offer. They also organize biking tours to “hidden San Diego gems,” and customized walking tours to secret areas, like the Bankers Hill tour and various other events. Lampe said that during one planned outdoor activity for several hundred people, it rained and they had to change plans quickly. For more information, visit Out of the Ordinary at groupadventures.com, or 858-487-3418, or the Menkins for Where You Want to Be Tours at wheretours.com and 619-917-6037. Awesome article and a big win for the San Diego community!